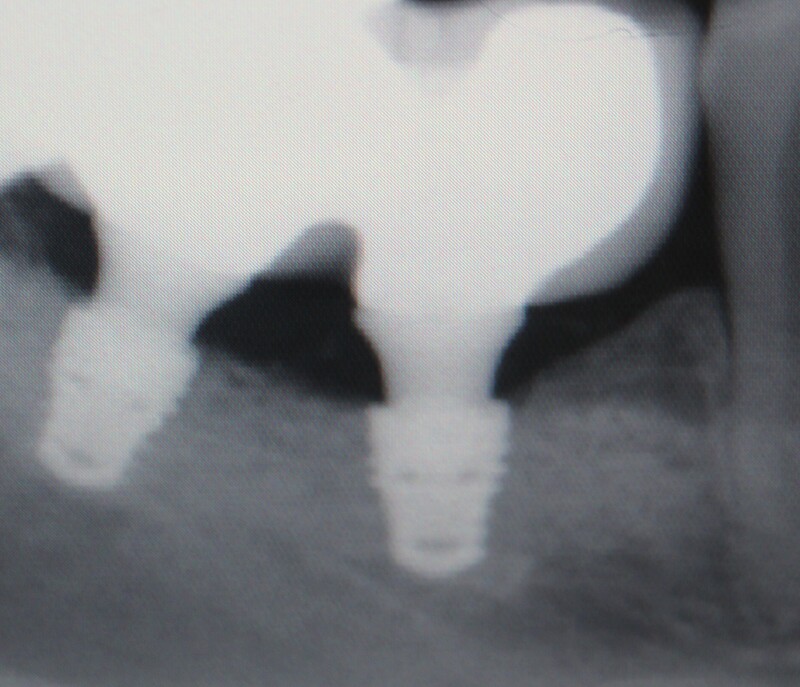 Dental implants are small titanium screws which are used in dentistry to replace natural teeth. The dental implant is placed into the jaw bone and if successful will fuse with the bone tissue. Dental implant treatment is a safe and highly predictable solution for replacing damaged or missing natural teeth. In order for an implant to be placed we do require adequate amounts of bone for the implant to be embedded into. 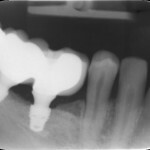 A radiograph or CT scan is used to ascertain the amount of bone available for implant treatment. 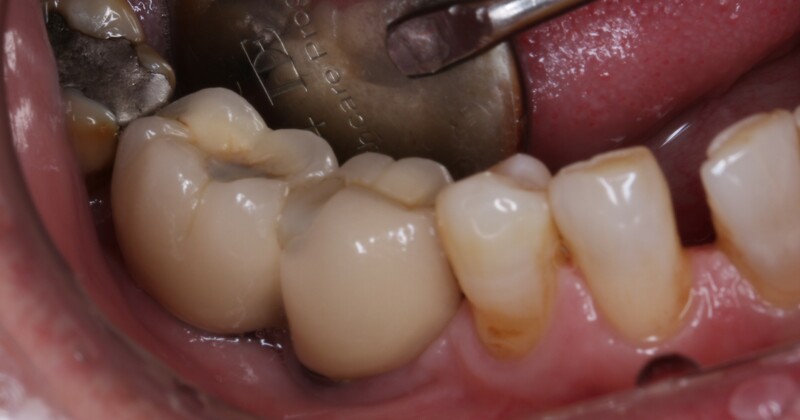 We are sharing this case today which shows how newer dental implant designs are helping dentists and patients to restore missing teeth where bone volume is limited. 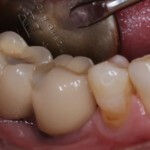 The patient was missing some lower right teeth for several years and could not cope well with a removable denture. 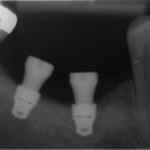 We decided that placing shorter dental implants was the safest and most suitable solution for the patient. 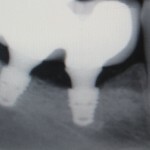 Two dental implants were placed and allowed to heal for 4 months. During this 4 month healing period the implant fused with the bone tissue ( process known as osseo integration). After the healing period dental impressions were taken and sent to our in house dental laboratory. 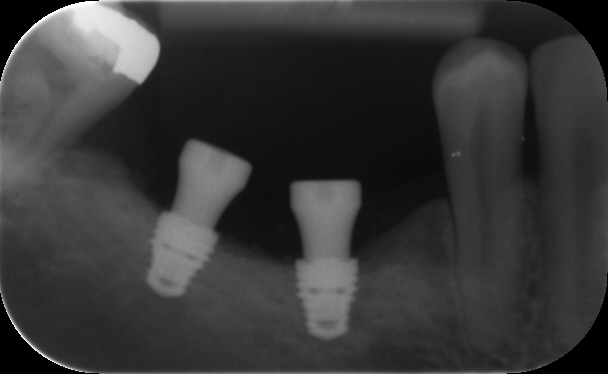 A screw retained implant bridge was made to fit precisely onto the implants. 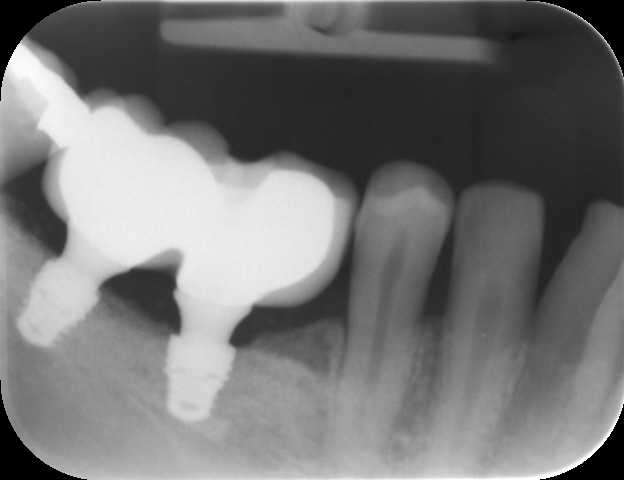 I have shared some radiographs of the treatment process as well as the follow up taken two years after the treatment was completed.